It may seem like we are spoilt for choice when it comes Whangarei Kitchens. When you do a quick Google search there are far too many results, so what makes Next Edition Kitchens different? We genuinely care about Whangarei Kitchens. Owner, Ryan Bourke, grew up in a small home in Whau Valley. His parents and grandparents also lived in Whangarei homes. The first few pages of the Edmonds cookbook pretty much sums up his entire childhood, spent in Whangarei Kitchens! So it would make sense that his passion lies in Whangarei Kitchen Design. But Kitchens would be nothing without recipes. 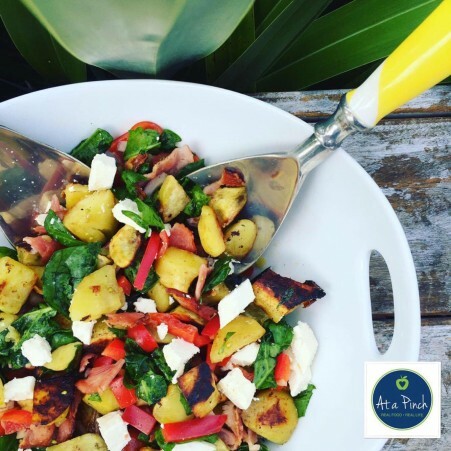 Ryan’s wife and business partner Pippa is passionate about good food too, so our blog will feature our favourite recipes- from Next Edition Kitchens to your kitchen! First up, a new favourite by Nicci Webb from At a Pinch. Let’s be honest… If something has bacon in it, it’s going to taste pretty damn good, right? !